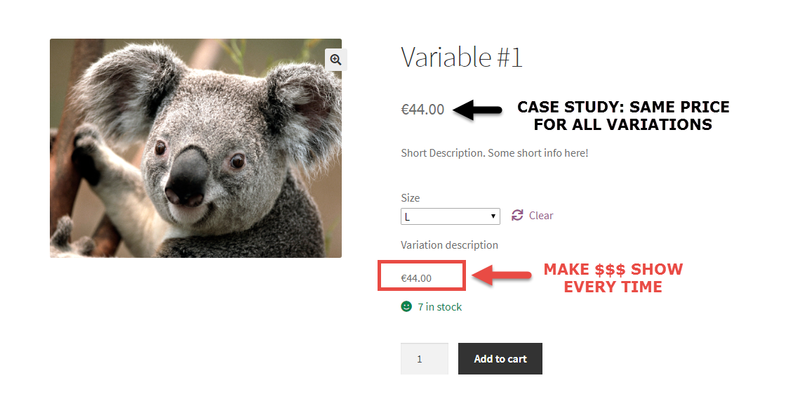 When a variable product has the same price for all variations, a unique price is shown to website users i.e. the one at the top of the page. However, this behaves differently when each variation has its own unique price – in this case the single variation price shows after a variation is selected. Now, this can be good or this can be bad – it depends. So in this snippet we’ll see a quick fix to make this behavior consistent i.e. showing the variation price after selection every time, no matter the conditions. We’ve seen a lot of PHP so far on Business Bloomer – WooCommerce after all is a bunch of PHP files! However, sometimes PHP is just not enough, mostly when you need to work with variable products and the “currently selected variation”. 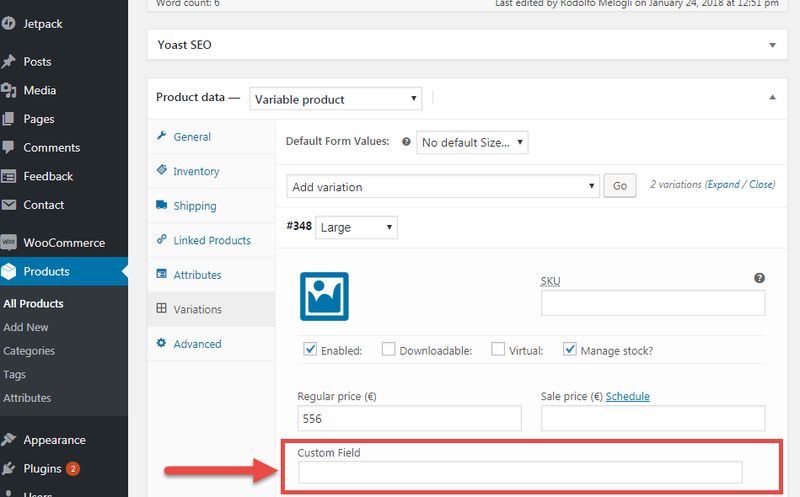 Adding and displaying custom fields on WooCommerce products is quite simple. For example, you can add a “RRP/MSRP” field to a product, or maybe use ACF and display its value on the single product page. Easy, yes. Unfortunately, the above only applies to products without variations (or the parent product only if it’s a variable product). So the question is: how do we add, save and display a custom field for each single variation? Thankfully, there are plugins for that. 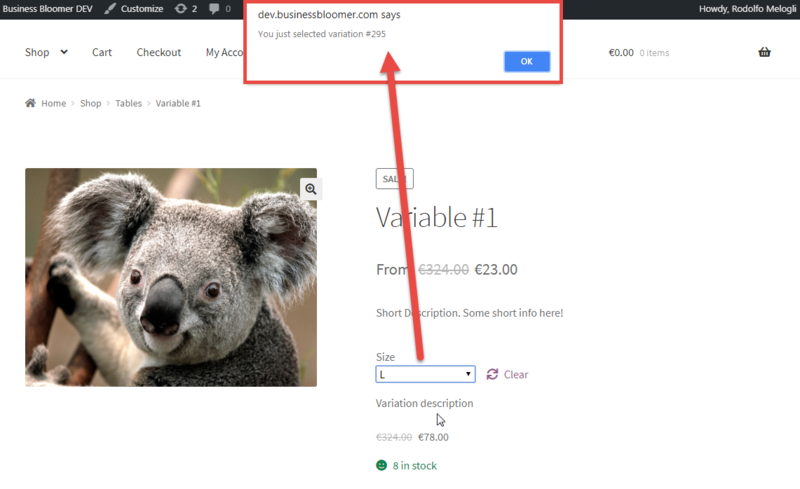 And today I give you two choices – the first where each variation is displayed in a table and has its own add to cart button, and another where there is a single add to cart button for all variations. 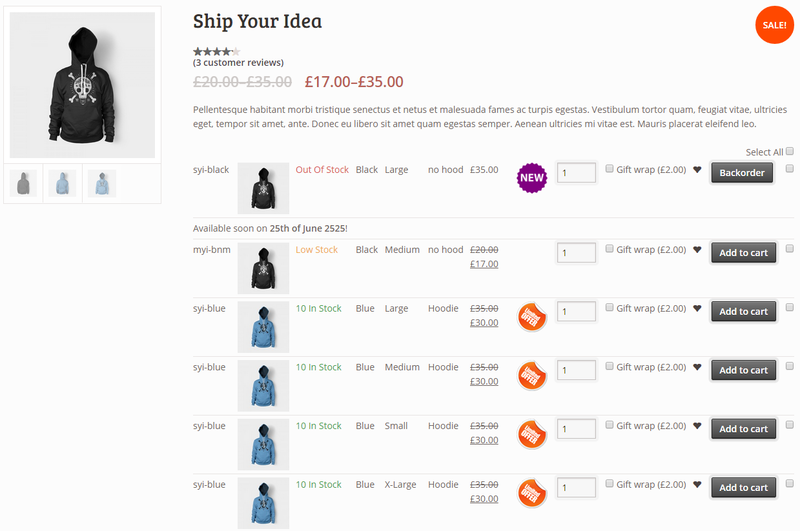 Continue reading How Can You Add to Cart Multiple Variations at Once?